With Oregon's current instability at quarterback, the Ducks will continue to lean heavily on the running game in the coming weeks. 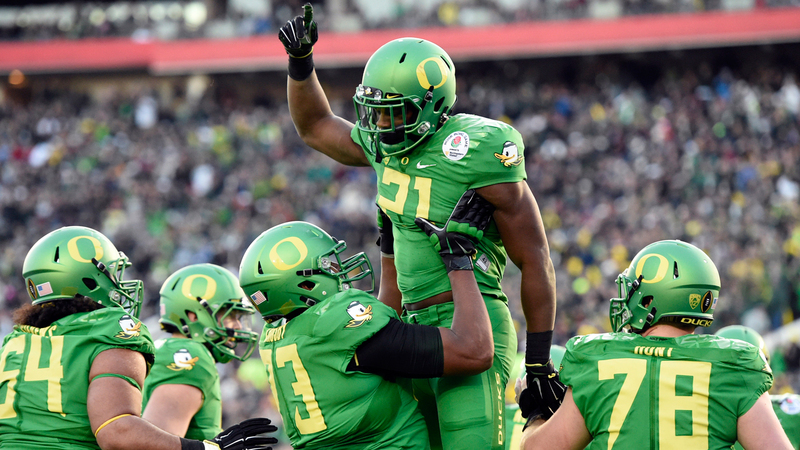 Sophomore Royce Freeman rushed for 163 yards on 27 carries in the 41-24 victory over Colorado. Running backs coach Gary Campbell believes Freeman can, and will, continue to shoulder that sort of load. Oregon ran the ball 62 times against Colorado, its highest total in two seasons. The Ducks were not shy about handing the ball to Freeman, true freshman Taj Griffin and redshirt sophomore Kani Benoit.